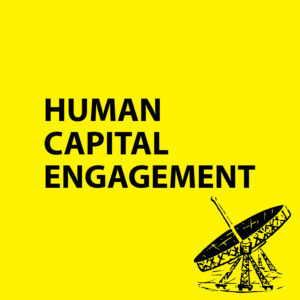 HUMAN CAPITAL ENGAGEMENT (HCE). Today, only 13 % of the world’s working population feel engaged at work, according to Gallup. That means that almost 5 out of 6 workers go to the office each day without feeling that they are truly a part of the organization that they work for. Engaged employees are often productive employees. And for a company to succeed, the people are key. That’s why we believe that Human Capital Engagement (HCE index) is the new business measure for success. Contact us to find out how you can improve your HCE Index with the help of a clear goal and coordinated communication efforts in internal and external channels. Improving your HCE generates a measurable impact that increases the motivation and engagement at your company, and helps you to quicker reach your business goals.